Lachin enterese lan Pwogrè Ayiti. Mete limyè lan je pòv rebèl yo. UNITED NATIONS, April 4 (Xinhua) -- A Chinese envoy said Tuesday that China was keen to see the international community continue to help improve the situation in Haiti through the provision of humanitarian and development assistance. "China commended MINUJUSTH (the United Nations Mission for Justice Support in Haiti) for its efforts for the smooth deployment and functioning of the mission," Wu Haitao, China's deputy permanent representative to the United Nations (UN), said at a debate of the Security Council on MINUJUSTH. Much had been achieved with regard to the UN efforts to combat cholera, he said, calling on the international community to positively respond to the organization's newest initiative for cholera response, with a view towards wiping out the epidemic once and for all. With MINUJUSTH fully operational, preparations have already begun for the follow-up peacekeeping operation to make way for a new UN presence by the end of 2019 that would focus on the Caribbean nation's long-term sustainable development. The UN is preparing for a transition of its mission in Haiti to a non-peacekeeping presence given the return of stability in the Caribbean country, said Jean-Pierre Lacroix, UN undersecretary-general for peacekeeping operations, on Tuesday. 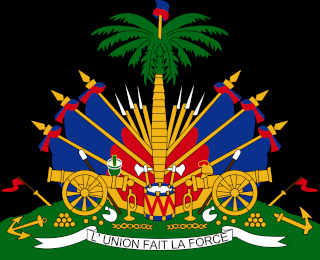 Lacroix said the UN stood ready to support the Haitian government in devising a clear road map for reforms, taking into account the UN mission's capacities on the ground. The Security Council is due to renew the mandate of Minujusth, which expires on April 15, 2018.